The relative lull in the gaming calendar is coming to an end, which means you should probably stop pretending to have a social life and hiss at the last embers of the sun. 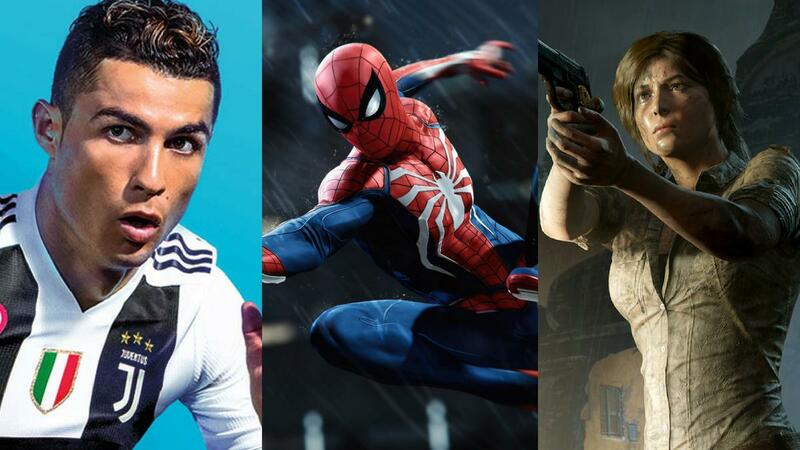 The new games of September 2018 will make sure you do just that as one of the strongest months of 2018 so far for new releases. There’s something for everyone in September, but particularly for sports fans. It’s the annual dump of slight updates and tweaks with many franchises getting refreshes. There’s also Lara being in a spot of bother, the return of strange lives, and a certain Marvel character debuting as a PS4 exclusive. Here are the biggest new games of a seriously stacked September, though this might just be the warm-up for October, which is going to be certifiably killer. Zone of the Enders is back, though sans Kojima and sans being a conventional sequel. Rather, Zone of the Enders: The 2nd Runner MARS is a remaster of the second game with VR capabilities that should be the next best thing to playing a Gundam game in virtual reality. A weird move to add the sequel to next-gen platforms instead of going with the original first, mind you. Soulsborne fanatics might find something to enjoy in Immortal: Unchained. Having played an early build of it at EGX, Immortal has some promising features and quirks, which include a reliance on firearms over melee. It was rather rough around the edges, though it certainly had potential. Here’s hoping it delivers on it and sufficiently scratches an itch — bear in mind that it is AA so it might not be of the same technical standard as FromSoftware’s polished beauties. NBA 2K19 has a lot to do to make up for 2K18, an annual entry more known for its mad dependence on microtransactions to make any headway at all. Gameplay refinements are about as incremental as you would expect from a sports title, but 2K19’s story mode looks like it will be as interesting as before with you playing as someone who’s anything but an instant star. Haley Joel Osment’s in it, and he see baskets. The culture surrounding 2K means that it will always be difficult for Live to be judged on its own merits, much like EA’s own FIFA continues to dominate PES each year despite the latter arguably being a better game. One of these days, EA Sports will get it completely right with Live and the tide will turn, though with both franchises being laced to the gills with microtransactions, maybe neither should come out on top. Spider-Man, Spider-Man, here comes the biggest new game of September 2018. A long-awaited PS4 exclusive, Spider-Man seeks to fix the transgressions of recent adaptations to finally make a Spidey game that’s as enjoyable as the ones found on the PlayStation 2. It looks stunning and is packed with things to see and do as well as featuring a non-dusty version of the webslinger, which is nice. Once you’re done flying through New York City, it’s time to watch a young adventurer regularly take injuries that would kill someone and still be left standing. Shadow of the Tomb Raider doesn’t reinvent the wheel from the first two origin stories, rather it’s a case of more money to be poured into it to make it look and feel as lifelike as possible. This is supposedly the last game to focus on Lara’s origins with her likely to opt for her iconic dual guns and pointy chest by its end. “No,” Sega coos comfortingly in your ear, like a grandmother who just wants what’s best for you, “you don’t need to go outside. Your friends? They will understand. Everyone will understand, Squad E needs you. We need you. Come to us. It’s okay. Don’t fight it. That’s right. Leave your pants off today.” Your withered form, besieged by a lack of Vitamin D, nods in compliance. Valkyria Chronicles 4 is your life now. The first episode of Life Is Strange 2 drops this September and a new cast of characters along with it. Just like most narrative games, Life Is Strange 2 will favour crafting a story with your own flavours thrown into the mix over action-packed gameplay, which worked wonders for them in the past. Play as troubled youth protecting his young brother in what is sure to go down as a cult favourite. Arguably the same game as FIFA 16 (and therefore 17 and 18), FIFA 19’s only real “innovation” is the way it handles shots. Apart from that, it’s a roster refresh and conclusion to The Journey that you’re paying for, so bear that in mind before you put down your $60 and the subsequent $6000 when FUT rears its ugly head and refuses to unpack Ronaldo for you and just gives you Lee Cattermole over and over again.